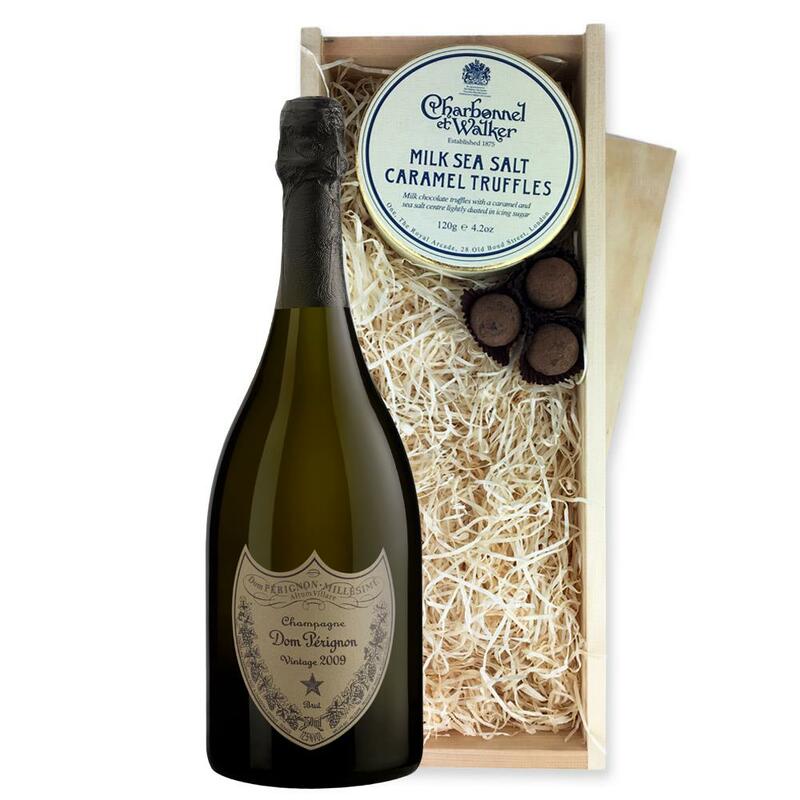 A single bottle of Dom Perignon Brut, 2009, 75cl, Champagne & Charbonnel - Milk Sea Salt Chocolate Truffles (110g), Presented in a wooden gift box with sliding lid and lined with wood wool with a Gift Card for your personal message. Send a single bottle of Dom Perignon, Vintage 2009, Champagne (75cl) Presented in a stylish Gift Box with Gift Card for your personal message - This Champagne, named after the legendary Bendictine monk, is the flagship wine from Moet et Chandon. 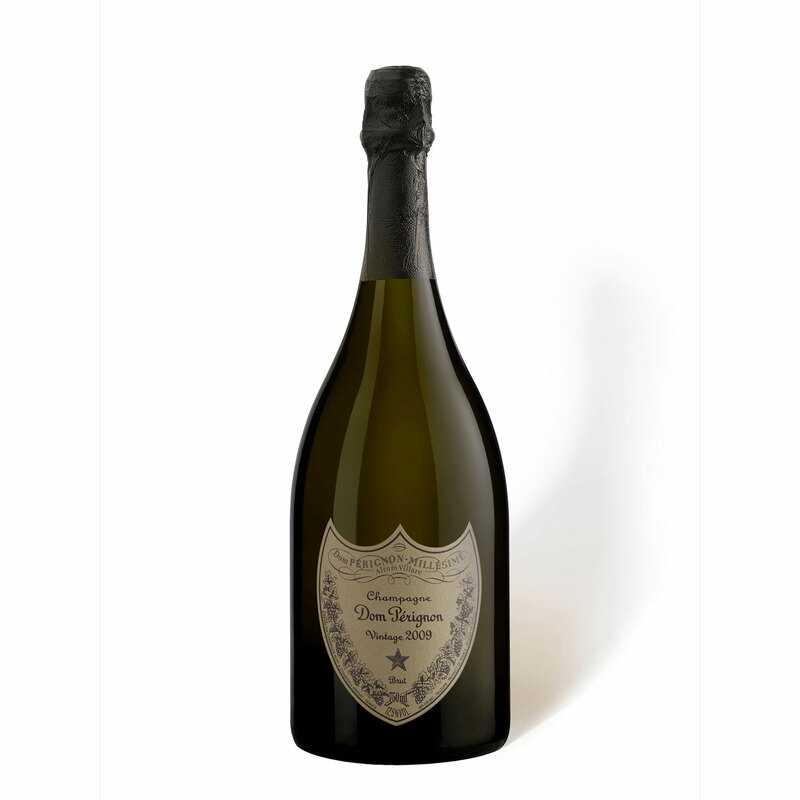 Please note stock does not always come in a Dom Perignon Branded box so please check with sales at time of ordering if you require this specifically.